Home / Resources / Living with Osteoarthritis / What is Osteoarthritis? For information about arthritis management and treatment options, please visit our Living with Arthritis and treatment pages. For information about the cost and prevalence of osteoarthritis, please visit our Policy Solutions section. Osteoarthritis (AH-stee-oh-ar-THREYE-tis) is the most common type of arthritis and is seen especially among older people. Osteoarthritis mostly affects cartilage (KAR-til-uj), the hard but slippery tissue that covers the ends of bones where they meet to form a joint. Healthy cartilage allows bones to glide over one another. It also absorbs energy from the shock of physical movement. In osteoarthritis, the surface layer of cartilage breaks and wears away. This allows bones under the cartilage to rub together, causing pain, swelling, and loss of motion of the joint. Over time, the joint may lose its normal shape. Also, small deposits of bone—called osteophytes or bone spurs—may grow on the edges of the joint. Bits of bone or cartilage can break off and float inside the joint space. This causes more pain and damage. Joint pain typically in the hands, knees, hips and spine. There is no cure for arthritis; however, symptoms can be managed through various forms of treatment, behavior strategies, and education. Doctors often combine treatments to fit a patient’s needs, lifestyle, and health. At the OA Action Alliance, we are believers in evidence-based management strategies related to physical activity, weight management, injury prevention, and self-management education. But we know that people with arthritis have many more treatment options. A few of our member organizations highlight some of those options on their websites. Learn how you can take action to improve your arthritis pain, daily function, and overall well-being. The information provided is for educational purposes only; always consult your doctor prior to starting any new treatments or if you have any questions about your current treatment. Arthritis Foundation: Arthritis Treatment Options – Treatment success comes from a combination of understanding your treatment plan with your doctor, and exploring arthritis medication, joint surgery, and natural arthritis treatments if and when they are right for you. American College of Rheumatology: Treatments – Search for rheumatic diseases alphabetically to obtain background information on some of the most common medications and therapies used to treat these diseases, such as how they work, common dosages, safety tips, possible side effects, risks and things you should discuss with your health care providers if you are taking or considering these treatments. 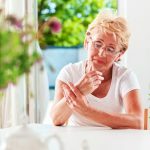 American Chronic Pain Association: Medications and Treatment – Medications and treatments, along with pain management techniques like relaxation, pacing, and exercise, can play a big role in reducing pain and improving quality of life.